The first woman to translate the Odyssey into English, scholar Emily Wilson “has given Homer’s epic a radically contemporary voice” (The New York Times). In this talk, she discusses the challenges of making this ancient work feel alive now, discussing formal decisions (meter, word choice, pacing, stylistic register) she made in bringing out Homer’s many voices. She will also read from her translation. 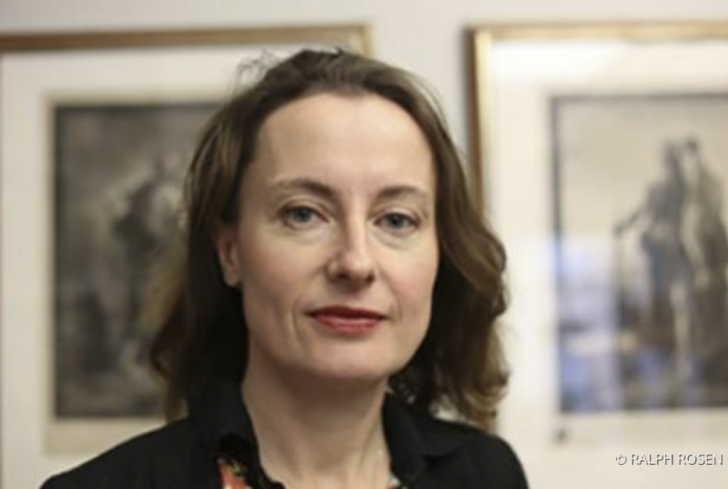 Emily Wilson is professor of Classical Studies and chair of the Program in Comparative Literature and Literary Theory at the University of Pennsylvania. She is the author of Mocked to Death: Tragic Overliving from Sophocles to Milton (2004), The Death of Socrates: Hero, Villain, Chatterbox, Saint (2007), and The Greatest Empire: A Life of Seneca (2014), as well as the translator of Six Tragedies of Seneca(2010) and four plays by Euripides (The Greek Plays, 2016).